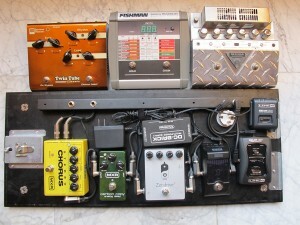 As you can see there are three tube Pre-amps. In the rig itself you will see the Zen Drive which is what I recorded with recently, but above you will see the Seymour Duncan Twin Tube which I also like very much, and to the right one of my oldest favorites, the Mesa-Boogie V-Twin. I like them all and it really depends on what mood I’m in which one I use.In the middle of those two, you will see a prototype of the new wireless midi for guitar that was invented by Andras Szalay, and is distributed by Fishman Associates.The rig itself is self evident and needs no commentary from me other than it stays the same whichever pre-amp I use. Paul built me this guitar for my US Farewell Tour in 2017. I no longer have this magnificent instrument as it was auctioned directly after the tour and all proceeds were donated to Al-Mada, a non-profit organisation healing traumatized children through music therapy. 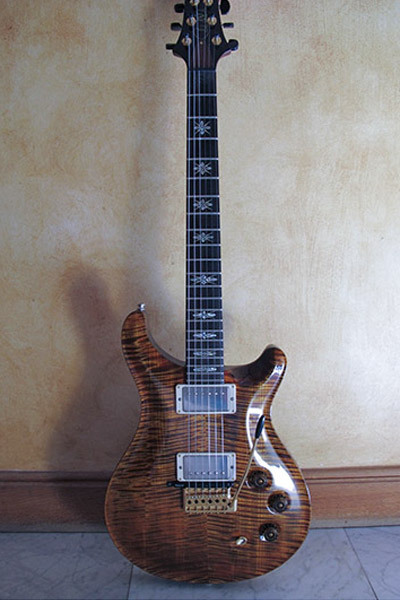 Guitar was built by Mike Sabre. 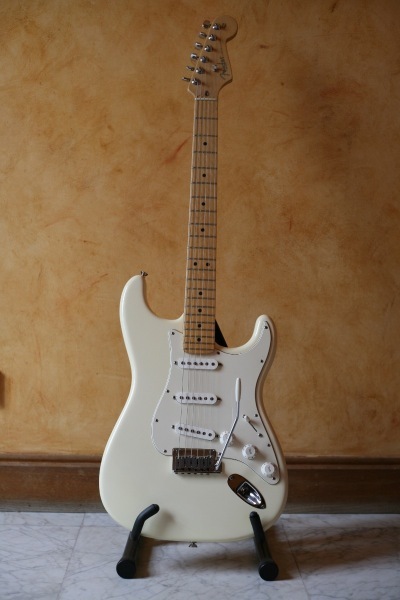 This guitar has an old Johnny Smith Humbucker with Richard McClish hardware and midi pickup. A great traveling guitar with a wonderful sound. Guitar. Abraham Wechter. ‘Notre Dame’ or ‘Our Lady’. 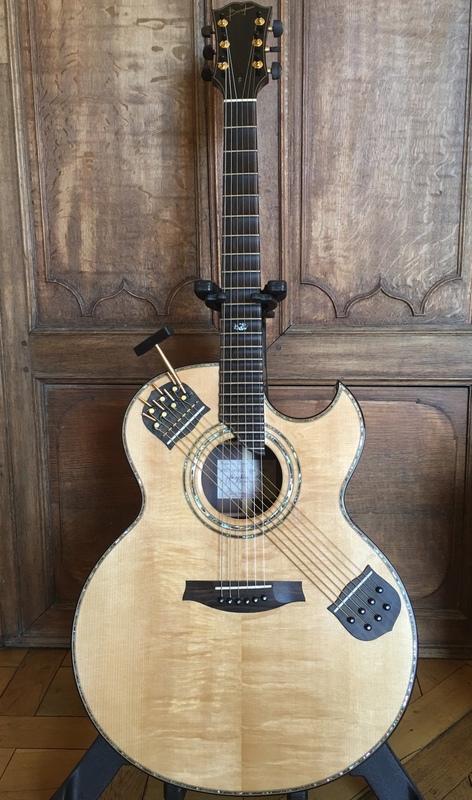 A nylon strung guitar in the classical sense: no cutaway and peg tuners!. 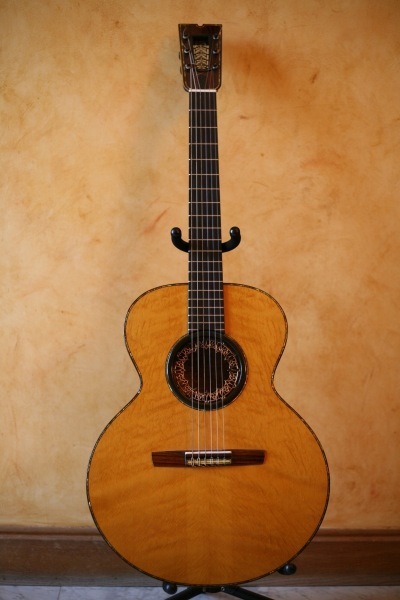 This guitar has a marvelous tone and is featured throughout the CD ‘Thieves & Poets’. Guitar. 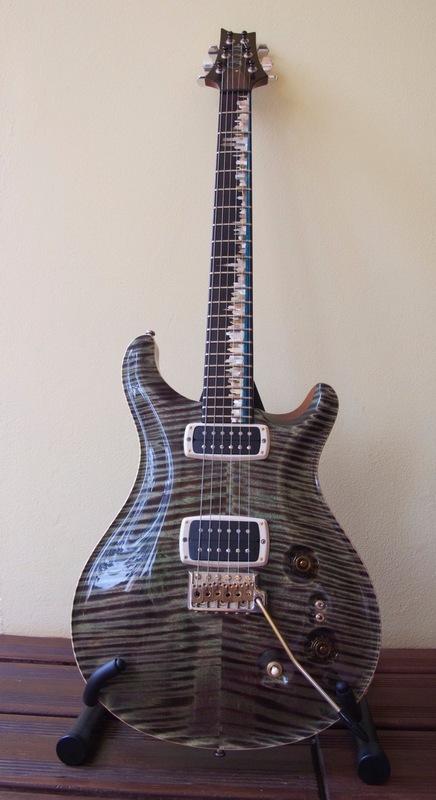 Paul Reed Smith ‘PRS’. This guitar is a jewel. You can hear it on the new recording ‘Now Here This’ and it is a delight to play. 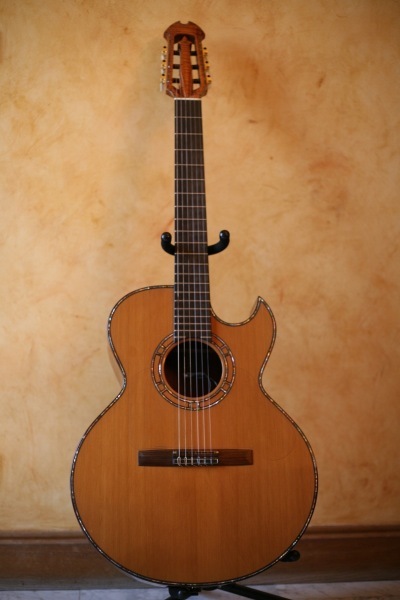 The Shakti Guitar built for me by master luthier Mirko Borghino. 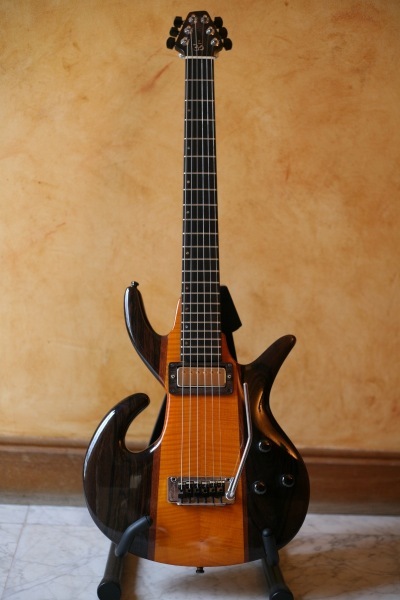 The original Shakti guitar was built by Abraham Wechter, but Mirko only saw it in photos. What’s amazing is that his is perfect in every detail. A wonderful instrument. 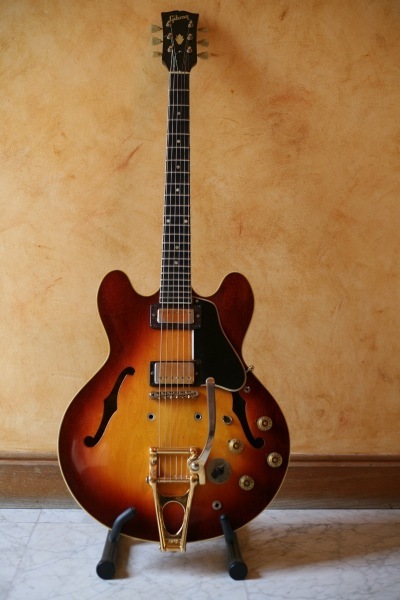 A similar Guitar to this one is featured on the Lifetime Recording ‘Emergency’ and also the first Mahavishnu Orchestra Album ‘The Inner Mounting Flame’. I’ve always loved this guitar. A large part of m y career has been dedicated to the acoustic guitar. 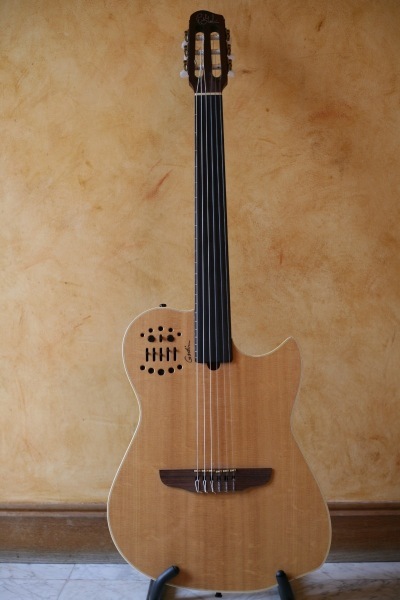 With this instrument, again recently acquired, I want to experiment with the nylon string tone which I love, coupled with the Synth access, and last but not least, it’s ‘FRETLESS !!!!!. 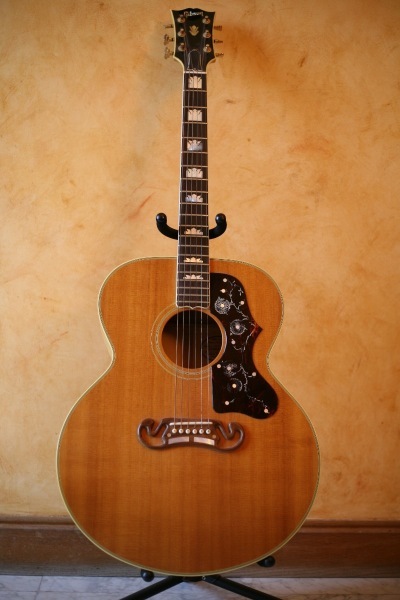 This is one of my all time favorite guitars that I bought in 1978.This instrument has been modified with a scalloped fingerboard and of course the Bigsby. 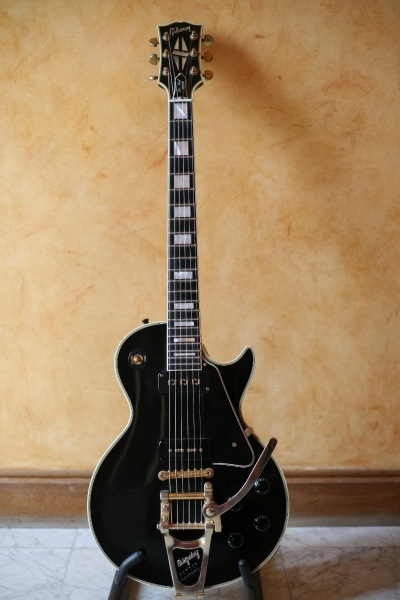 I played this guitar in the One Truth Band. 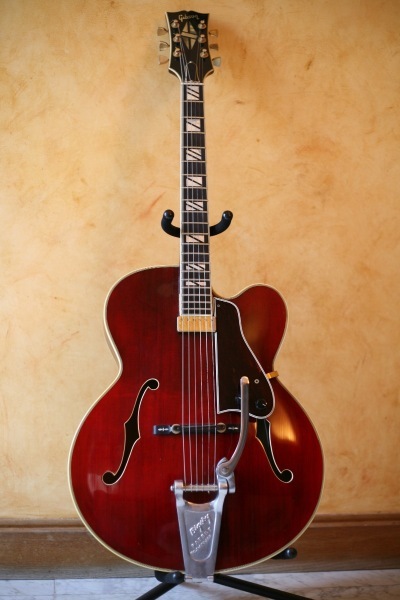 A great guitar that I played with the group ‘The Free Spirits’ in the early 1990’s. This guitar was played extensively with my Trio featuring Trilok Gurtu and Kai Eckhardt. A Fishman condenser microphone and piezo midi captor – a great instrument.